Epicurus said that philosophy is an activity that seeks to achieve a happy life through discourse and reasoning. And that is the basic idea of this book, which addresses humanity’s never-ending search for happiness. 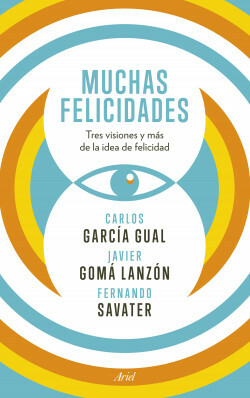 Carlos García Gual takes a classical approach, Fernando Savater suggests civic and ethical commitment and Javier Gomá questions the very idea of happiness in these individualistic times when the cosmic order that governed the ancients has disappeared. The work is accompanied by a joint consideration of Epicurian happiness and a selection of philosophers’ thoughts on happiness. Three leading Spanish philosophers share their vision of happiness. Written in plain, accessible language with familiar examples. Includes quotes from classic authors.